On yesterday’s rumour that we won’t be seeing second-gen AirPods until the fourth quarter of 2019, I hurried to the Apple store and bought myself a pair. 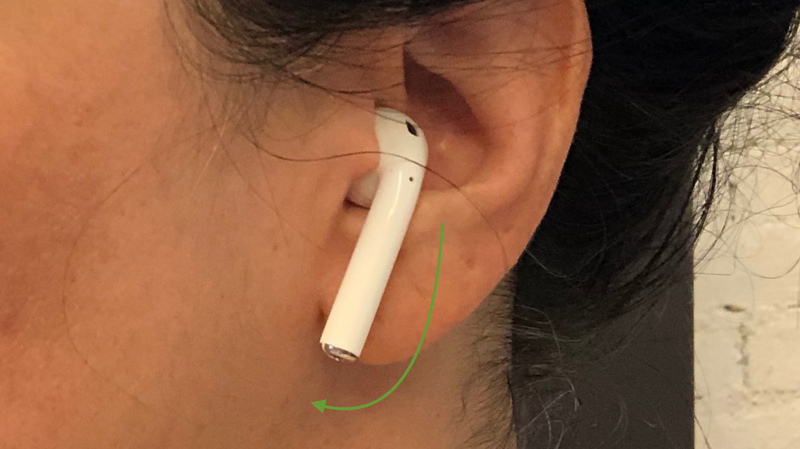 Unfortunately, I quickly discovered that I am one of those people who is not going to be raving about how the AirPods seem magically cemented to my ears. I will not be able to cycle in a winter wind or do a flip on a snowboard without them falling out. If Apple EarPods don’t stay in your ears, AirPods won’t either. I went searching for a solution. Lifehacker via MacRumors suggests using waterproof tape to create friction with the ear, which I’m loath to try as it’s too early in my ownership to give up on the unmodified utility of the little Sonicare heads. So I headed to YouTube, where this video confirmed what I already suspected to be true: Don’t hang the AirPods from your ears; rather, press them in firmly, then screw the stem forward about 30 degrees. If you’ve got any good AirPod hacks, tell us in the comments. Three Lifehacker staffers have new AirPods, and we’re all looking for tricks to maximise our new toys.